Edmodo - Stay Informed Throughout the Summer! Look for your next edition at the end of August / first of September. Have a relaxing and wonderful summer vacation! Join our statewide PLC on Edmodo and get information from other educators and from the WDE. In these groups, PD opportunities are announced and all educators can ask and answer questions, share information and resources, and even share lessons and mapping documents that have already been created. There is a group (or 2 or 3 or more) for everyone. Join as many as you like. GEAR UP Wyoming is sponsoring a full-day workshop and networking opportunity for Instruction Facilitator’s serving 7th-12th grade students. Registration is free and a 1/2 PTSB credit can be earned. A block of rooms has been arranged at the Holiday Inn Casper East - McMurry Park, (307) 577-5000. Ask for the 'GEAR UP Wyoming IF Summit' room block. You will be responsible for all room and travel-related expenses. 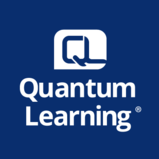 GEAR UP Wyoming is proud to sponsor a Quantum Learning Regional Workshop at the Gillette College Technical Education Center at 3251 South 4-J Road in Gillette. The registration for this conference is free, however attendees are responsible for travel and lodging. This workshop is approved for 2 UW credit hours ($100) or 2.5 PTSB credits. A room block has been arranged at the Hampton Inn, 211 Decker Ct., Gillette, (307) 686-2000. Ask for the GEAR UP Wyoming room block. For more information contact Chrissie Henschler (307) 766-6736. In case you missed it in a recent edition, please make sure students and parents know about the following free summer learning opportunities. Find a Book, Wyoming enables students, educators and parents to build custom reading lists based on their reading ability (Such as Lexile® measure) and personal interests. 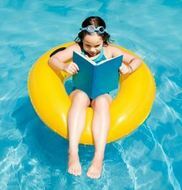 The tool also enables students, parents, and educators to check the availability of books at their local library, and to submit a pledge to read this summer. To access the Find a Book, Wyoming tool, visit lexile.com/fab/wy. The Summer Math Challenge is a math skills maintenance program based on grade-level state standards. The program is geared toward students who have just completed 1st-7th grade, and is designed to help them retain math skills learned during the previous school year. Parents who enroll their child receive daily emails with targeted activities and resources. The Summer Math Challenge runs June 20th-July 29th. For more information, visit quantiles.com/summer-math. This year’s theme is Writers and Writings. Registration is free but will be required. UW EDCI 5959 credit and Wyoming PTSB credit will be available. Many of Shakespeare's plays were not published during his lifetime. 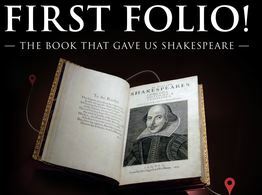 The First Folio is the first collected edition of Shakespeare’s plays, published in 1623, seven years after his death. Without it, we would not have 18 of Shakespeare’s plays, including Macbeth and Julius Caesar. All 18 appear for the first time in print in the First Folio, and would otherwise have been lost. Shakespeare's First Folio will be on exhibition at the Wyoming State Museum in Cheyenne. Consider bringing your students face-to-face with the book that gave us Shakespeare. We'll interact with its contents through a variety of activities and help the text come to life. 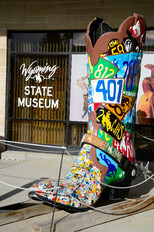 To schedule a visit, please contact Nathan Doerr, Curator of Education at the Wyoming State Museum, at nathan.doerr@wyo.gov or 307-777-7021. Opening keynote will be Ronalda Warito-Tome, mother of three, community organizer and advocate of children with special needs. 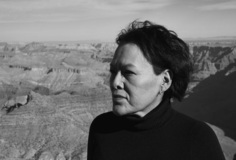 Ms. Warito-Tome, a National Indian Education Association Parent of the Year, continually works with tribal and state education departments, school districts and families to create partnerships that increase the learning curve for Native children but specifically for Native children with disabilities. Two other speakers have been added to the lineup. Victor Woods served 6½ years in prison for masterminding a $40 million credit card conspiracy. He eventually turned his life around and today speaks of his discovery that "You CAN make it" with patience, perseverance, and a willingness to learn and change. Craig Lemley impresses audiences with amazing feats of strength, using the physical obstacles on stage as symbols of emotional problems to be overcome in everyday life. Mr. Lemley will speak about reaching goals and dreams, avoiding roadblocks like drugs and alcohol, and making good choices and good decisions. Global Exploration for Educators Organization (GEEO) is a 501c3 non-profit organization that has sent over 1300 teachers abroad on adventurous travel programs. Trips are 7-21 days in length and are designed and discounted to be interesting and affordable for teachers. The trips are open to all nationalities of K-12 and university educators, administrators, retired educators, as well as educators’ guests. The Wyoming Writing Project (WWP) is hosting a free writing professional development day in three locations around the state. The event is open to K-12 Content Area Teachers, Paraprofessionals, Instructional Facilitators, and Administrators and will include a morning session on practical writing applications for the classroom and an afternoon session to practice the craft of writing. Please register for the most convenient location. PTSB credit will be available. Participants will have the opportunity to hear from experts in climate science, climate change education, and Next Generation Science Standards; engage with hands-on activities that help bring climate concepts into the classroom and informal education settings; and learn about how Climate Generation curriculum supports language arts, social studies, and science standards. Registration is $150 which includes breakfast and lunch each day. An onsite lodging option is available for $28/night.